Discussion in 'General Reptile Discussion' started by Mick666, Nov 8, 2018. My son found this last time he stayed at my parents place, I wasn't there to get a better pic. 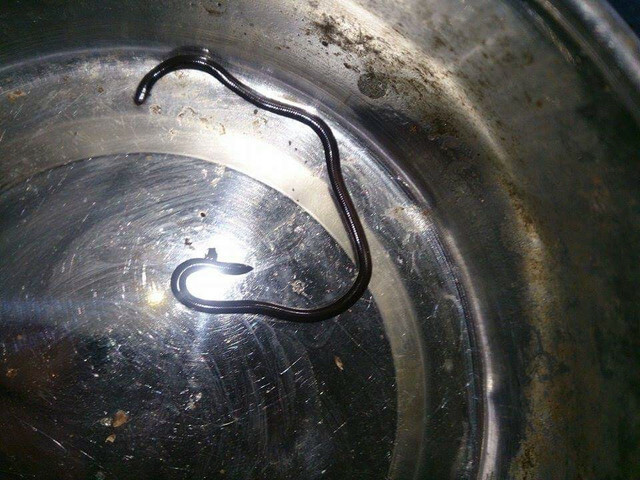 I think it's a blind snake? It is a blind snake. Never bothered to learn how to ID them, they often have the same or similar scale counts and they are not likely to be reading this forum. When my mum rang me and said he'd caught a snake, i asked if it was a carpet. She said no. I panicked a bit and asked for a pic. He'd seen them on a documentary and identified it as a blind snake. But i still insisted on pics. One of my friends found one to a while back and sent me a pic.